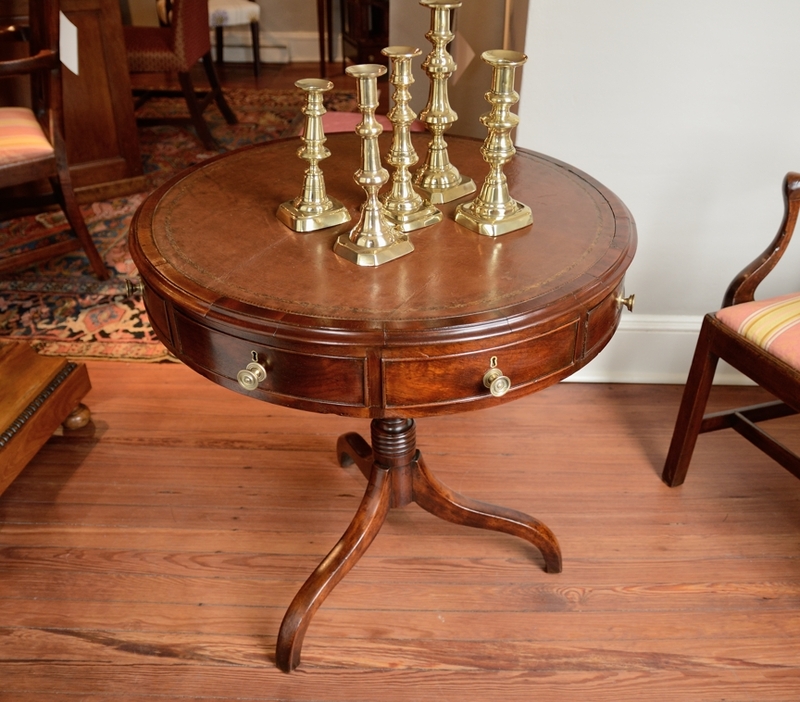 Regency Mahogany Drum Table With Leather Gilt-Tooled Inset And Molded Edge Resting On A Urn Turned Column With Raised On Down Swept Legs. 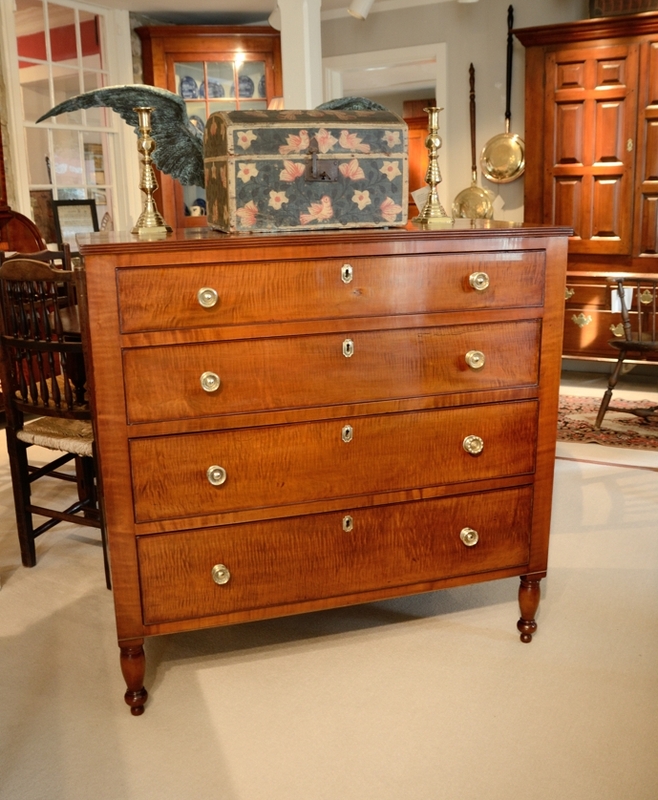 This Federal Cherry Satinwood Inlaid Bow Front Chest Rare And Elegant With Great Inlaid Detail. 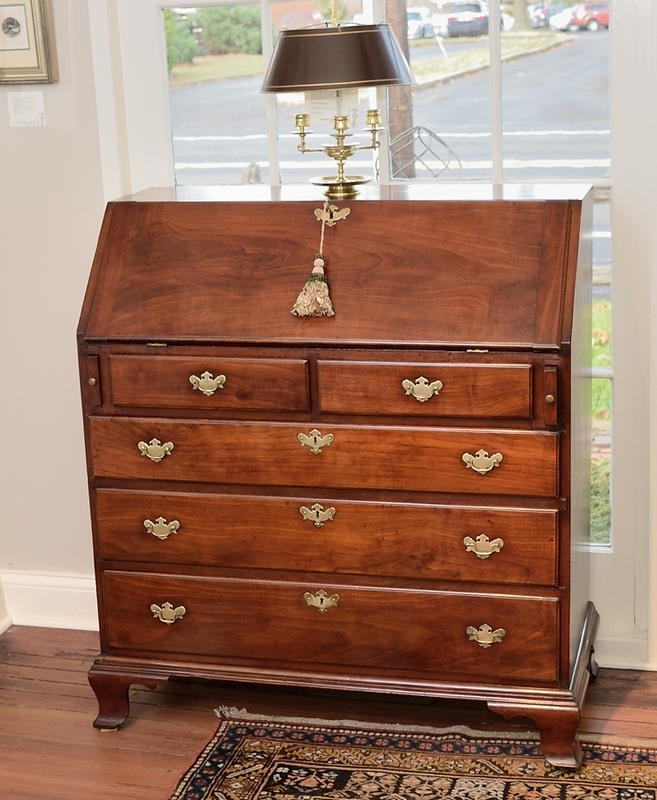 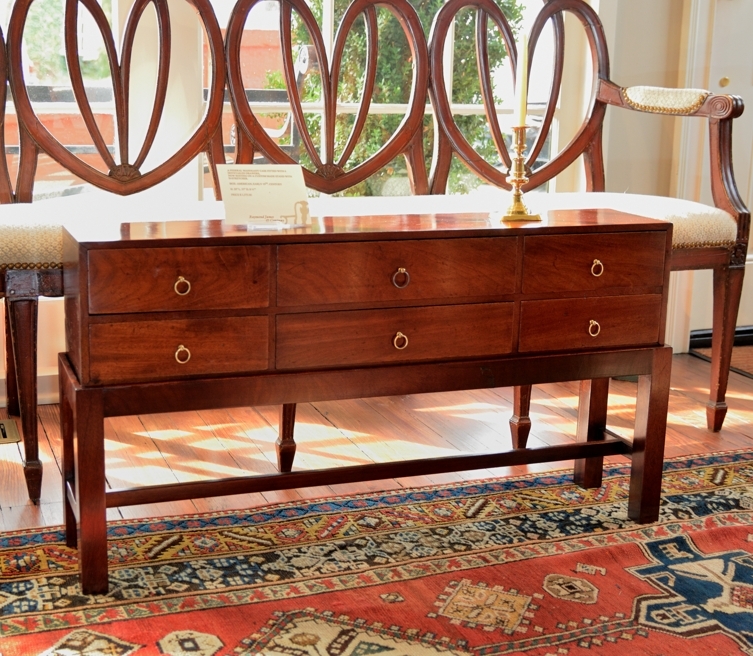 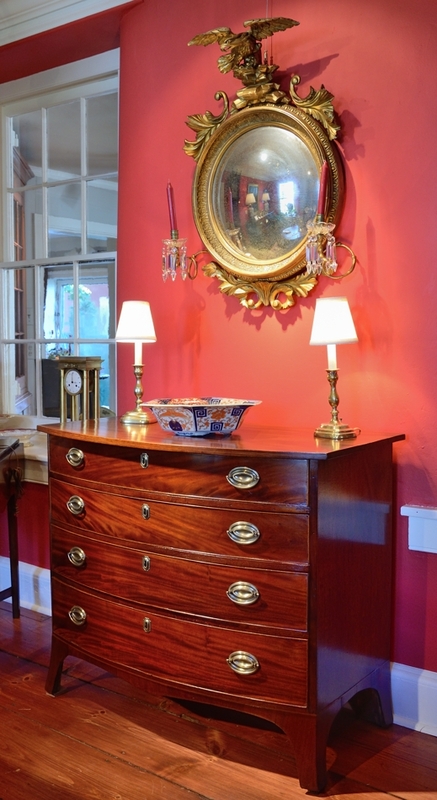 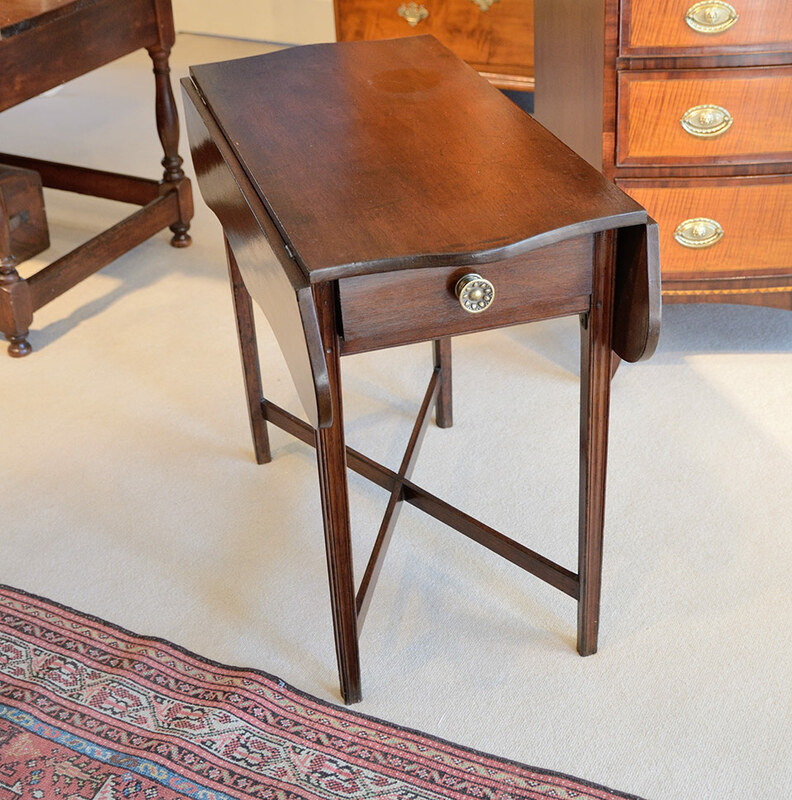 The Satinwood Is Stunning And Makes This Chest A True Find For Collectors! 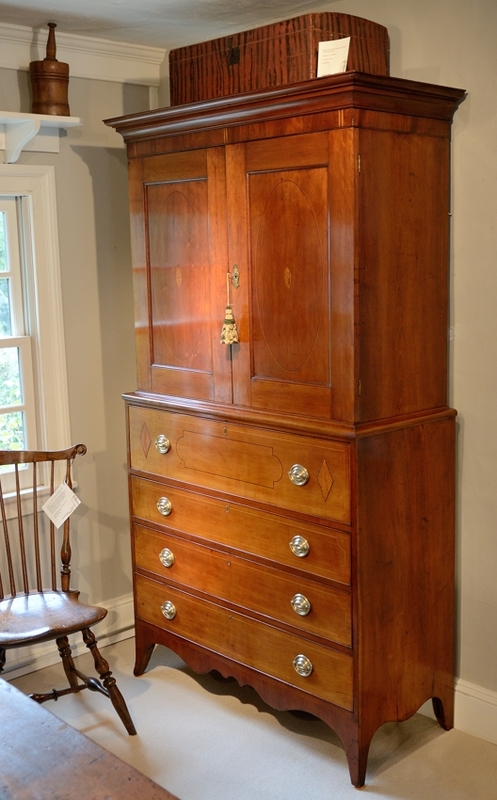 A Fine Federal Maple and Birch Tall Case Clock.